Acupuncture Treatment | Dr. Melissa Lee ND., RAc. 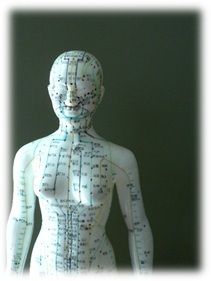 Acupuncture is a safe and effective therapy that has originated more than 2000 years ago. Over time, the therapy has been refined, clinically studied and extensive evidence based research has proven its efficacy in the treatment of multiple conditions. Acupuncture is used to encourage natural healing, improve mood and energy, reduce or relieve pain and improve function of affected areas of the body. Physiologically, acupuncture boosts immune function, increases peripheral circulation, improves skin and blood flow, and regulates the autonomic nervous system, digestive system and reproductive system. Dr. Lee uses hair thin needles to insert at specific points in the body. These needles are specifically designed for a smooth painless insertion. 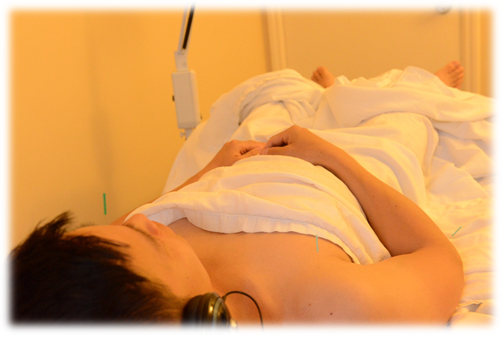 During the treatment she gently stimulates each needle to trigger the body’s natural healing response. 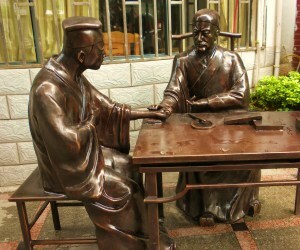 An initial consultation for acupuncture is approximately 30 minutes long. It involves in depth questioning of your health history and a focused physical exam. During the physical exam, Dr. Lee will use both Western and Traditional Chinese Medical methods of assessments to understand the health of your body. This will include examination of your tongue and pulse. The aim of pulse diagnosis, like the other methods of diagnosis is to obtain more useful information about what is going on inside the body, the cause of disease, and give direction as to what might be done to resolve the condition. According to the Chinese understanding, the pulse can reveal the nature of an illness in the body: whether it is deficient or excess, hot or cold, what organ system is dysfunctional. In your visit, Dr. Lee will determine this by taking your pulse in three positions along the wrist on top of the radial artery and utilize this information for treatment. Tongue diagnosis is also a useful tool to gather more information about what is going on inside the body. The tongue has many relationships and connections in the body. During inspection, Dr. Lee looks at various areas of the tongue body, its shape, colour and coating. This consultation will help Dr. Lee determine if acupuncture would be a suitable treatment option. It also is important to be fully informed about the treatment process so you can decide if you would like to continue with acupuncture treatments. If you have any questions feel free to ask any questions during the consultation. Overall this process will allow for a detailed understanding of the patient’s history, contributing factors and current health status. After this initial assessment, Dr. Lee will discuss with you what your acupuncture treatment plan will be in terms of frequency, duration of treatment, and reassessment timelines. An acupuncture treatment will be approximately 45 minutes long, but please plan for your visit to be in and our in one hour. 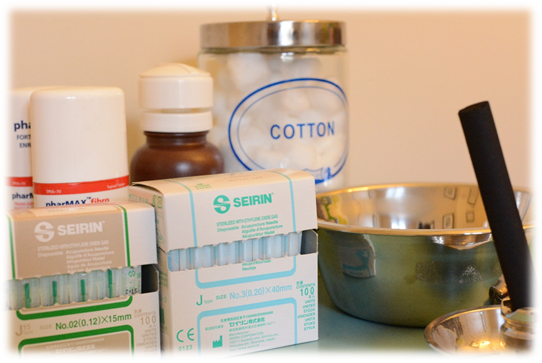 When you come in, a treatment table will be ready for you to receive treatment. Using clean needle technique the Dr. Lee will first treat you while you are lying on your back. She will clean each point specific to the your case and place the needles in. After a needle retention time, you will then be turned over, and acupuncture needles will be placed into points on the back. Depending on your case, Dr. Lee may use various techniques to increase the efficacy of the treatment. These include: breathing techniques, manual stimulation, electro-stimulation, or moxibustion. Before you come for your treatment, it is recommended that right before the treatment do not eat a heavy meal, nor be famished. After the treatment, take it easy and ensure you are hydrated and avoid alcohol, caffeine and excessive/intense exercise afterwards.